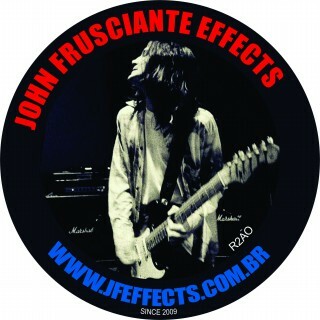 John Frusciante’s live "clean" sound seemed to be more clean and sparkly on the 2002 By The Way Tour, and then got more dirty over the years. Was this a decision made by John? And was it the amp settings that changed over the years, or the Boss CE-1’s level? Dave Lee: "John's main rig consisted of a Marshall Major and a Silver Jubilee (as you probably know). The Silver Jubilee was a bit "dirtier" than the Major. Our tone didn't change much, but Dave Rat or front of house sound engineer may have leaned more (in later years) toward the Jubilee in his mix."